The period of Greek history between 492-479 BC is known as the Persian Wars. It was a period of contest between the city-states of Greece and the mighty Persian Empire. Like the Trojan War, the Persian Wars were a defining moment in Greek History. The Athenians, who would dominate Greece culturally and politically through the fifth and part of the fourth century BC, regarded the wars agsinst Persia as their greatest and most characteristic moment. What follows is a brief background of the events that led to the invasion of mainland Greece by Persia. 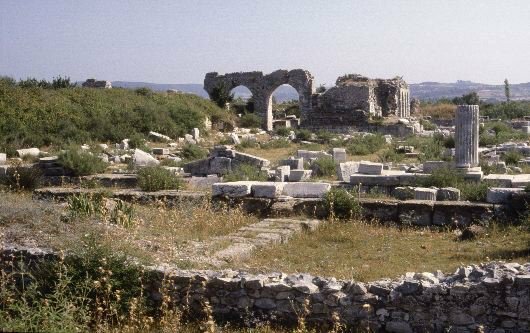 In the middle of the 6th century BC, the Greek city-states along the coast of Asia Minor came under the control of the Lydians and their king, Croesus (560-546 BC). He was a tolerant ruler and let the Greeks settle their own internal problems as long as they continued to pay tribute. However, this situation did not last long because to the east lay the most powerful empire that the Ancient world had yet seen, Persia. One of Persia's greatest kings, Cyrus, conquered Lydia and executed Croesus. Thus Persia became ruler of the Ionian-Greek city-states. The Ionian Greeks did not like their new Persian rulers who controlled their subject states very closely. They appointed tyrants to rule the states, drafted Greeks into their army, levied heavy tribute, garrisoned Persian troops in the Greek cities, and interfered in local governments. Smarting under these new burdens and anxious for independence, the tyrant of Melitus, Aristagoras, began a democratic rebellion in 499 BC. Aristagoras was an opportunist who had been placed in power by the Persians but when he persuaded the Persians to launch a failed expedition against the Greek island of Naxos, he began to fear for his life and went to the Greek mainland for support of the rebellion. The Spartans would have nothing to do with him but the Athenians promoised him twenty ships. 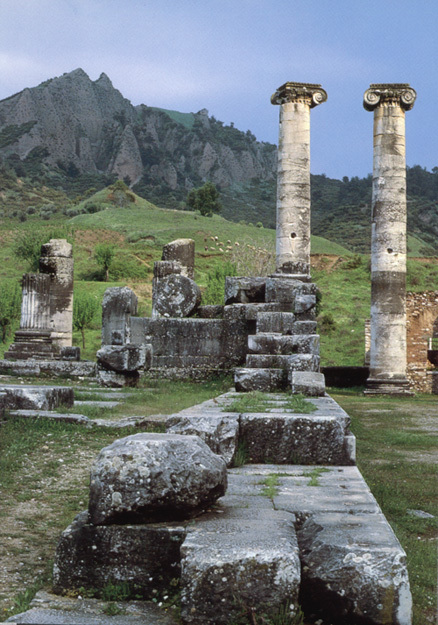 In 498 BC the Athenians conquered and burned Sardis, which was the capitol of Lydia, and all the Greek cities in Asia Minor joined in the revolt. However, the Athenians soon withdrew and by 495 BC, the Persians, under King Darius I (521-486 BC), had restored control over the rebellious Greek cities. The fate of Aristagoras is unknown although he is believed to have fled from Miletus and gone into hiding. Darius realized that the Ionian Greeks would be a perpetual bother as long as they could gain help and encouragement from the Greek mainland so he determined to conquer Greece proper, secure his western frontier and lay the groundwork for Persia's expansion into Europe. Thus the stage was set for Persia's invasion of Greece and the begining of the Persian Wars.